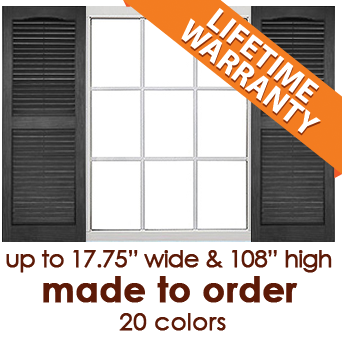 We're proud to offer our USA-made Legends Custom Vinyl Louvered Shutters to homeowners and builders. Years of development have resulted in a sturdy vinyl shutter with realistic wood grain that withstands the elements without fading. Affordable, durable and beautiful, Legends custom vinyl louvered shutters will add instant curb appeal to your home. Wide variety of standard molded-through colors. 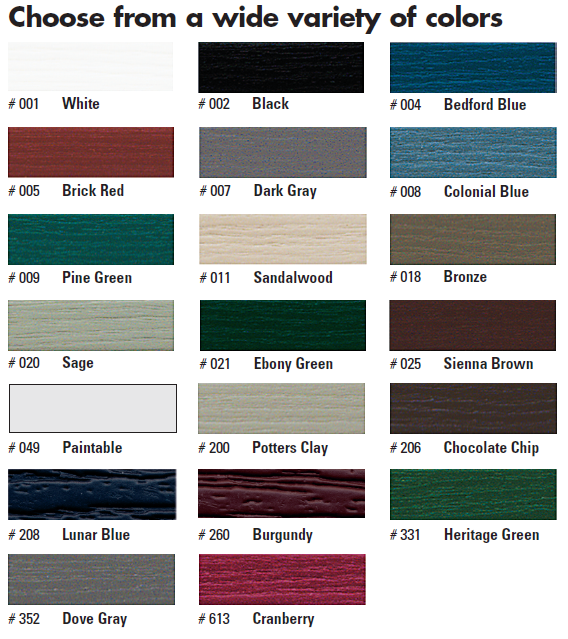 Click here to order color samples. Ships in 7 to 10 business days. Please note ship times may be extended due to seasonal demand. 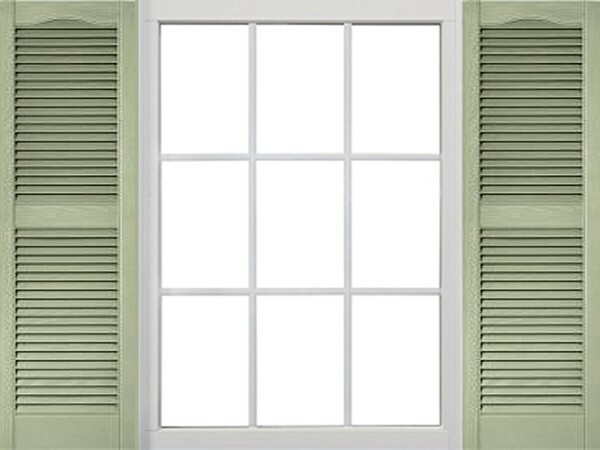 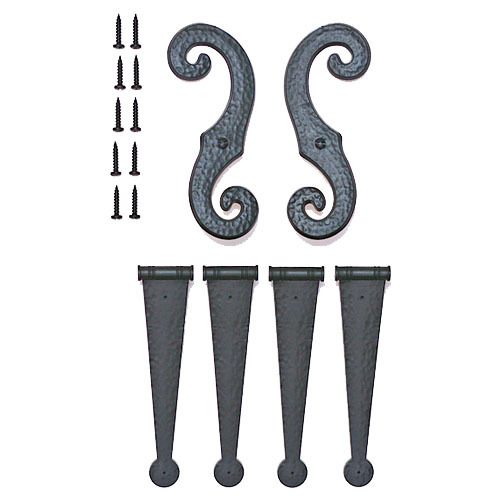 PLEASE NOTE: Legends Custom Vinyl Shutters are custom-made to order, and are non-refundable.